. 14th December, 2017 . 2017 has been a great year for Shatta Wale, that's if you go by Google Trends' most searched for song of the year in Ghana. 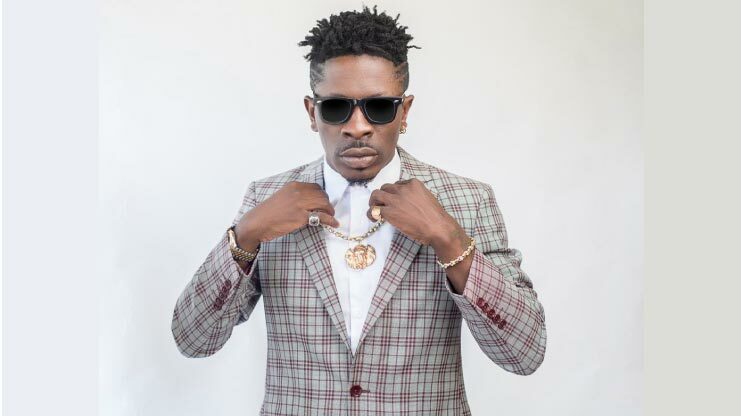 Shatta Wale claimed the number 1 spot for most searched for song on the internet with his hit song Taking Over. He takes over (no pun intended) from Sarkodie whose song Choices was the most popular song in 2016. Shatta Wale was the only Ghanaian artiste who had more than one song on Google Trends' most searched for songs in 2017, with Taking Over, Ayoo and Forgetti being ranked number 1, 4 and 7 respectively. The never-tiring Shatta Wale managed to release several songs in 2017 just as he did in 2016. Nigeria’s Davido was also very popular in Ghana with 3 songs of his being in the top 10 most searched for songs; Fall, If and Fia taking number 2, 3 and 10 positions respectively. Kidi's Odo was 5th on the list and Kuami Eugene's Angela, 6th. Both youngsters are artistes you should watch in 2018. Patapaa's song One Corner, with its controversial dance moves was the 8th most searched song in Ghana. Below are the most popular songs on Google Trends - Ghana (2017). Check out our Instagram page to find out the Most Searched for Person in Ghana (2017), and the Questions Asked About the Most on Google Ghana (hint: Ghanaians like asking Google about death).